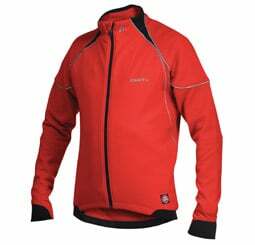 Halters Cycles » Blog Archive » Don’t FREEZE! Dress the part. Don’t FREEZE! Dress the part. so winter has been slow to come this year, but we are pretty sure it is going to get cold. Here are a few items that we are stocking that will really make your winter riding more enjoyable. These goodies will work both on the road or mt bike. Stay warm with the CRAFT Thermal Bike Jacket. Gore Wind Stopper chest and arm panels keep you warm and protect your core in the coldest conditions. Flex Fleece fabric provides additional protection while also managing body moisture. Ideal with a proZERO base layer underneath. This is the sweetest Jacket I have ever seen for the price. This glove is nice and thin but still warm. It is one of the few winter cloves that offers some padding in the palm. We stock this both in mens and womens versions. These toe covers from Pearl Izumi block wind and water. They are not as warm as a full bootie or dedicated winter show but they will do the trick on mosr fall days. This WINDPROOF base layer from CRAFT is a shop favorite. It will allow you to wear fewer layers on the coldest days you will see. We run out of these every year. The ultimate base layer for cold and windy conditions. 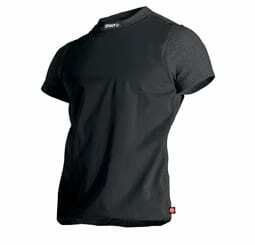 The Gore WS Short Sleeve features Gore’s lightest ever windproof, 4-way stretch fabric panel to date. Gore WS is strategically applied to Pro Zero fabric in order to maximize protection where you need it and ensure moisture transfer from the skin. Minimize your layers while protecting your core with our new Gore WS Short Sleeve. This entry was posted on Thursday, October 25th, 2007 at 11:43 am	and is filed under MTB, Road. You can follow any responses to this entry through the RSS 2.0 feed. You can leave a response, or trackback from your own site. « Night time.. Yep it is dark! Better light up!